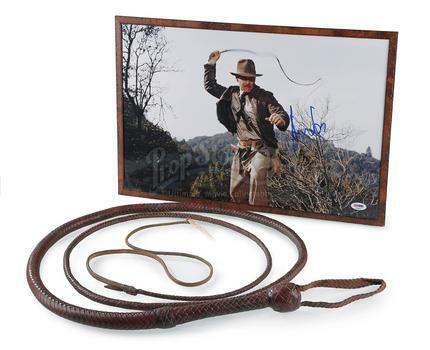 Prop Store – one of the world’s leading film and TV memorabilia companies – announced the results from last week's largest live auction of film and TV memorabilia in the UK, with items on offer fetching in excess of £3.8 million. The Prop Store live auction, run in partnership with ODEON – Europe’s largest cinema chain – was held Tuesday 26th September at London’s BFI IMAX proudly presented by ODEON. Collectors from around the world gathered yesterday at the Prop Store’s unique Entertainment Memorabilia Live Auction, which achieved exceptional results over 10 hours of exciting and intensive bidding. One of the top results of the day was the Star Lord’s Helmet from Guardians of the Galaxy which achieved a sale price of £134,200 ($181,170). The Prop Store auction coincided with a number of special screenings at the BFI IMAX, proudly presented by ODEON, which saw classics such Aliens, Scarface and Who Framed Roger Rabbit? return to the big screen for film fans to enjoy in the lead up.